Carnegie Mellon University has announced this fall it will begin offering an undergraduate degree in artificial intelligence as part of its School of Computer Science. Carnegie Mellon is the first university in the United States to offer such a degree. The degree will focus on how complex inputs are used to make decisions or enhance human capabilities, said Reid Simmons, research professors of robotics and computer science who will be director of the new AI program at the university. 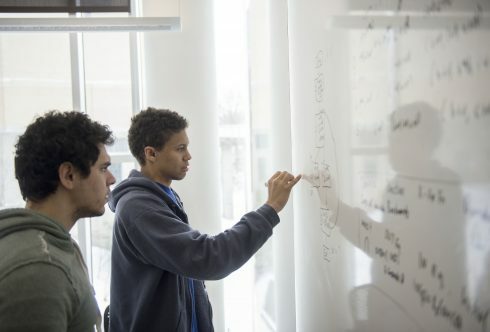 Students will receive solid grounding in computer science and math courses as they would in the standard computer science program, in addition to coursework in AI-related subjects including statistics and probability, computational modeling, machine learning, and symbolic computation. Mozilla released the latest version of Firefox this week, with new options for the enterprise. The release includes Firefox Quantum for Enterprise, which can be customized by enterprises to optimize job performance and meet the organization’s specific needs. It adds new features that allow IT professionals to customize Firefox for their employees. They will be able to configure Firefox for their organization, using either Group Policy on Windows or a JSON file that works on Mac, Linux, and Windows. They will also be able to choose whether to deploy the standard Rapid Release (RR) or Firefox, which gets regular updates, or the Extended Support Release, which gets those new features and improvements in one big update per year. The latest version also supports WebAuthn, making it the first browser to do so. WebAuthn is a set of anti-phishing rules using an advanced level of authenticators and cryptography to protect user accounts. Other updates include New Tab Experience, which provides a wider layout of options when a user tries to open a new tab, and a new CSS engine called Stylo. Rust 1.26 has been released, and it is the most feature-rich release since version 1.0, according to the team. It finalized the second edition of “The Rust Programming Language” book, which it is now recommending over the original edition. The latest version also adds existential types, the ability to automatically compile code without needing to add & and ref in the code, the ability to return results in main, the ability to create inclusive ranges using ..=, and the addition of slice patterns, which allow you to match on slices similar to how you would match on other data types. It also made changes to the compiler that has resulted in up to a 12 percent reduction in compile time.